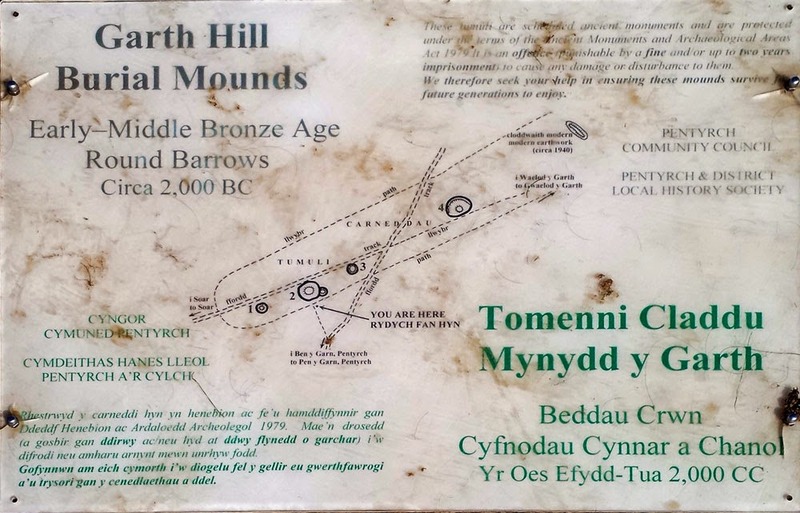 Garth Hill is the highest point of Cardiff and lies just to the north west of Cardiff near the town of Taff's Well. Every so often I venture into South Wales to attend a Balloon modelling event (I am a balloon twister if you are wondering). This time I decided to extend the visit and climb a high point with an overnight stay at a friends house to make things easier. 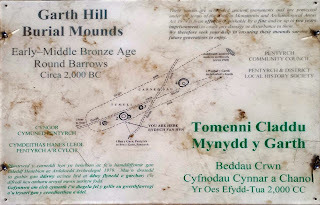 I set off for the village of Taff's Well fairly early (as my friends had to go to work), it was only a 25 minute drive so not too far away, The fog was very thick on the way to the hill but I eventually found a nice place to park on the slopes of Garth hill got myself ready for my short walk. 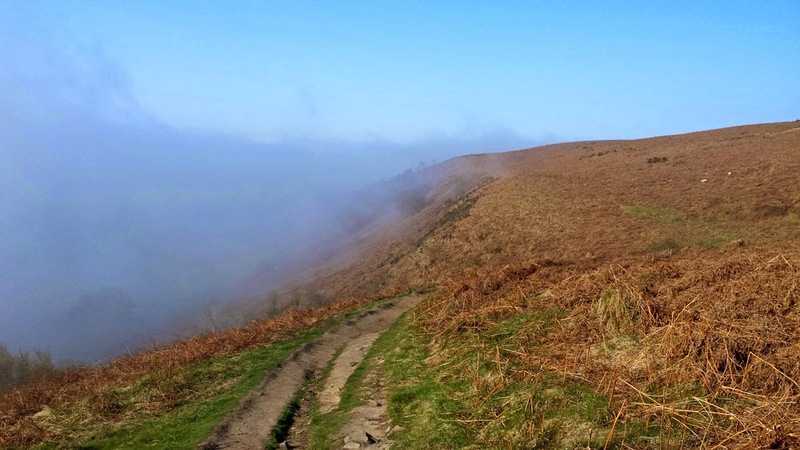 the fog was still thick when I left the car but I left it below me half way up the slopes of the hill, it was not too far to walk to the top, I tried to make the walk a little longer by taking a long route but even then I was reaching the top after about 25 minutes. At the top I couldn't see too much as the fog was still thick below me but above me there were amazing blue skies and it was very warm, the first really warm day of the year so far which was lovely. 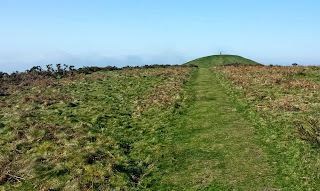 The highest point of Garth hill was actually an ancient burial mound, there was a trig point on top which I sat next to and had some breakfast and a drink. 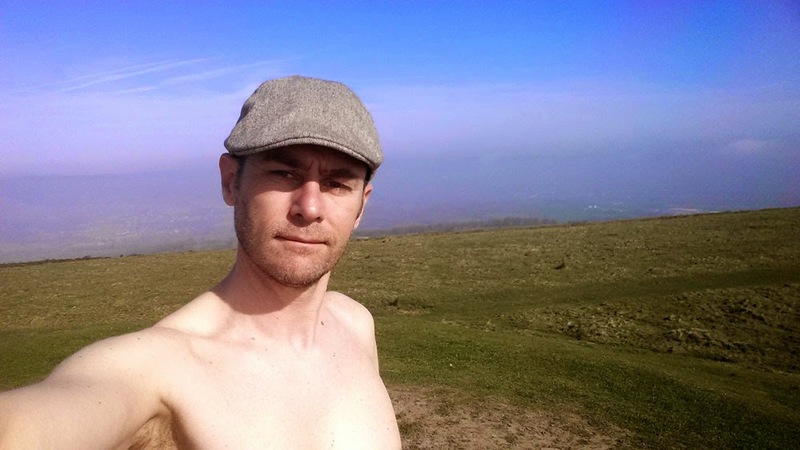 While sitting on the top of Garth hill I was passed by 2 joggers, a walked and many cows, it was quite busy on top of the hill. After my short break I took a different route down the slopes of the hill back to my car ready for my long drive back home. 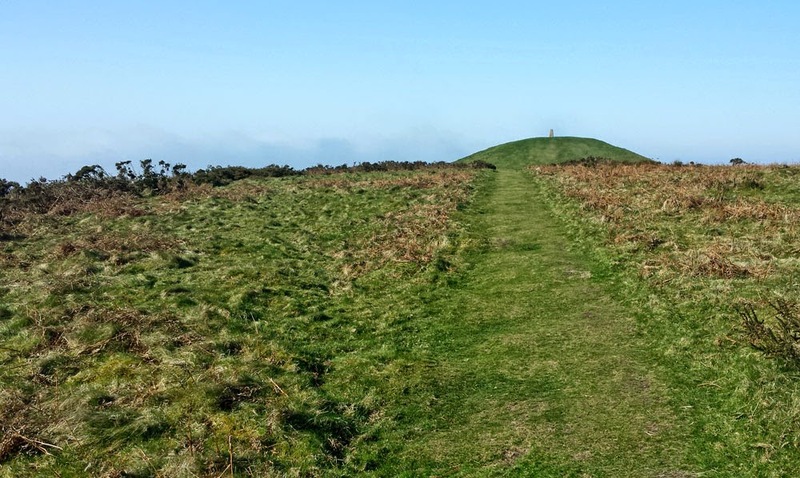 It was a short hill walk but a really nice one to do, it is a lovely hill to visit if you are in the area and I can imagine the views would be amazing if it was not foggy.